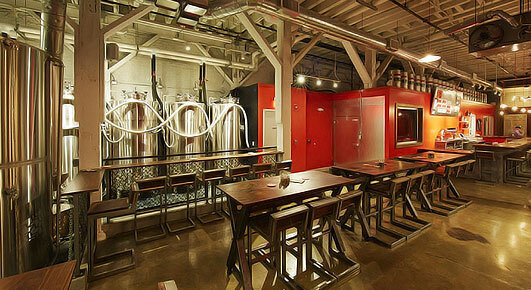 11 Photos Local Brewing Co.
1) You wander into a new spot on Bluxome and order a beer. 2) You hear about a new spot with an online “beer curator” web app. You hop on their site, slide around the bitterness, alcohol content and complexity scales, and receive various recommendations. 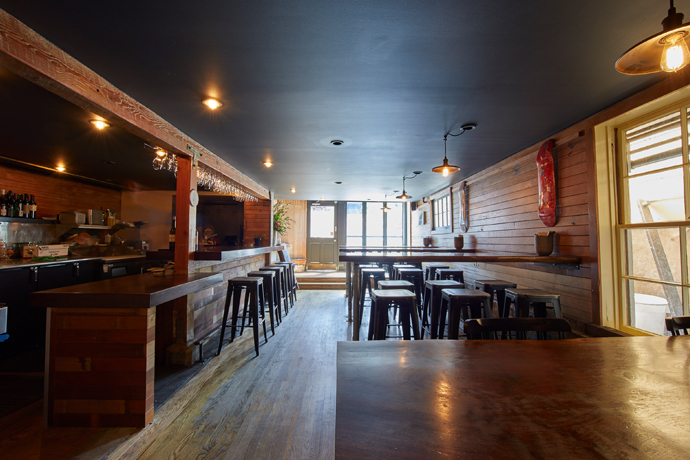 You wander into a new spot on Bluxome and order a very specific beer. Either way, our story unfolds at Local Brewing Co., a new small-batch brewery and taproom that’s rather intent on you enjoying the perfect beer, open now in SoMa. If not, head back to the L-shaped bar up front. Maybe the human behind the bar suggests the Bluxome Black Lager. Maybe the “beer curator” suggested the Duboce Park I.P.A. Maybe one of the founders emailed you about a new brew that happens to fit your beer profile. Maybe you just take a shot in the dark and order a dark ale and the brewery meat-and-cheese board. A solid shot in the dark, that was.